The evening's first panel, Conception is moderated by John Markoff and features Daniel Kottke, Larry Tesler, Rod Holt, Jerry Manock, Marc LeBrun, and Bill Fernandez. The second Panel, The Birth of the Mac, is moderated by Steven Levy, and will feature Bill Atkinson, Randy Wigginton, Andy Hertzfeld, Bruce Horn, and George Crow and Caroline Rose. The audience will be able to hear first-hand stories from these panelists and others about the real stories behind the birth of the Macintosh. The third panel, the Coming of Age of Mac, is moderated by Dan Farber and features well known 3rd party developers like Charlie Jackson, Jim Rea, Heidi Roizen, Ty Roberts, David Bunnell, Marc Canter, Maryline Delbourg Delphis, Adam Hertz and Steve Jasik focusing on the software necessary for the Mac to gain critical mass. 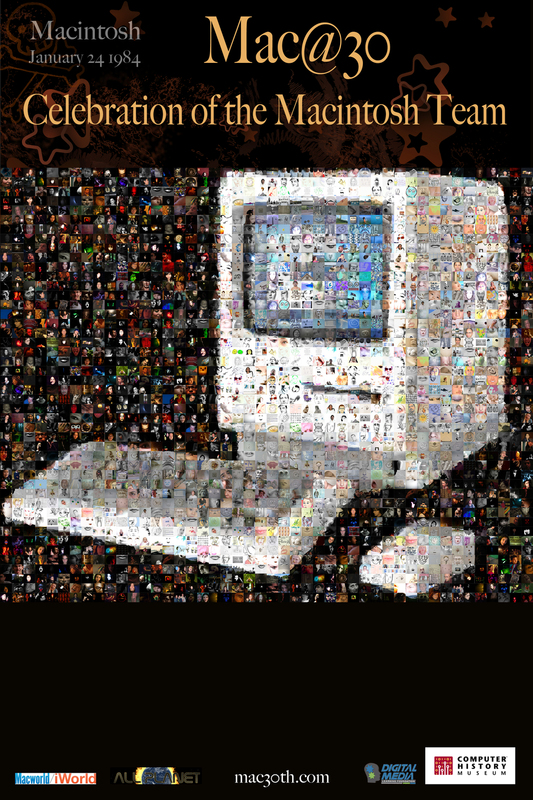 The commemorative mosaic poster portrays the original Macintosh using portraits of the people who brought it to life - not only its creators, but its many users. 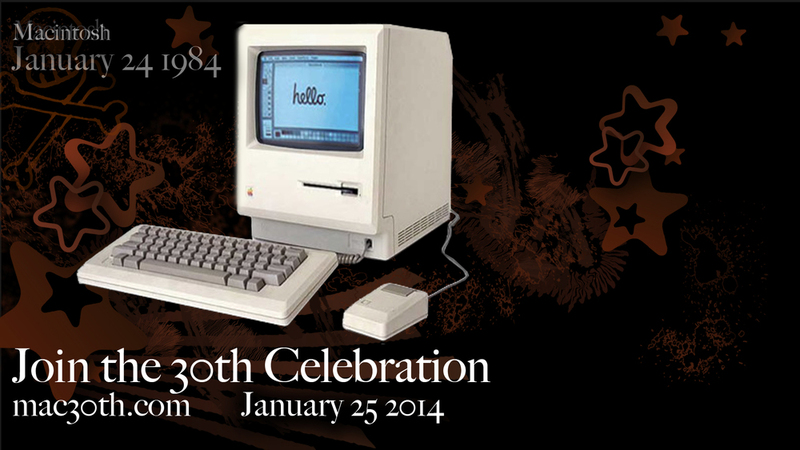 We think this colorful 11x17 poster is a fitting memento of the 30th birthday celebration, and we’d like you to be part of it. It costs you nothing. Simply click the SUBMIT button to upload your photo. Headshots are preferred. You’ll have a chance to crop your image, and there’s a place to tell your story about how the Macintosh changed your life. 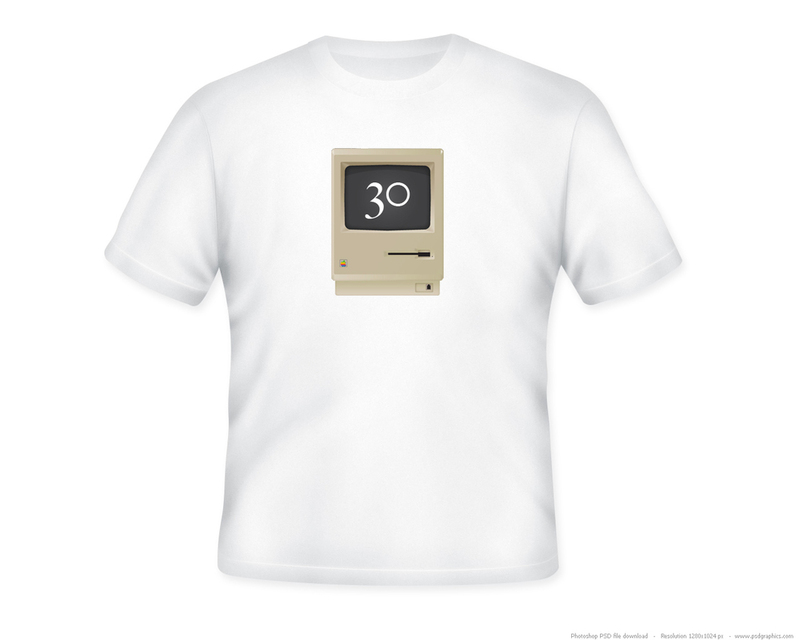 If you’d like to lend financial support to the Mac@30 project, check out our Kickstarter campaign. If you contribute at Reward 3 or above - that’s only $20, folks - we’ll put your image at the top of the pile and do our very best to make sure you see yourself on the poster. The event and the poster are a benefit for CoderDojo (www.coderdojo.com), a not-for-profit outfit dedicated to helping new generations of kids learn the skills necessary to create the next breakthrough in computer technology. Any money we receive beyond productions costs goes directly to them. So let’s see those photos and hear those stories! 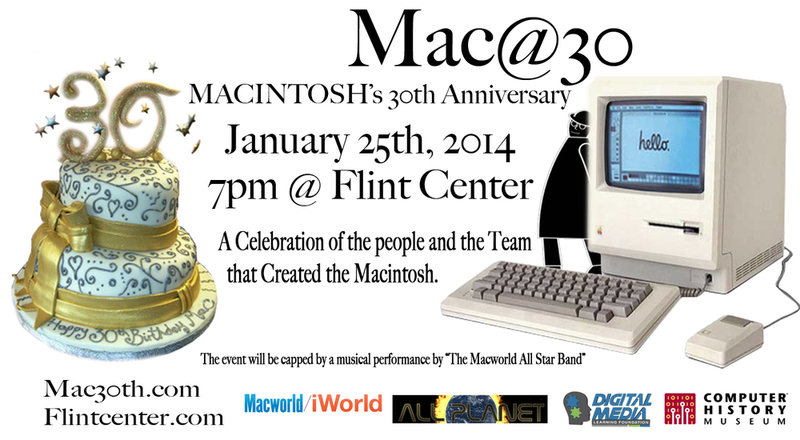 For further information, including interviews, contact Daniel or Robbie at mac30th@gmail.com.